Amanda has been Head Coach since March 2016 and a key member of AVSC's coaching team for the previous 6 years. 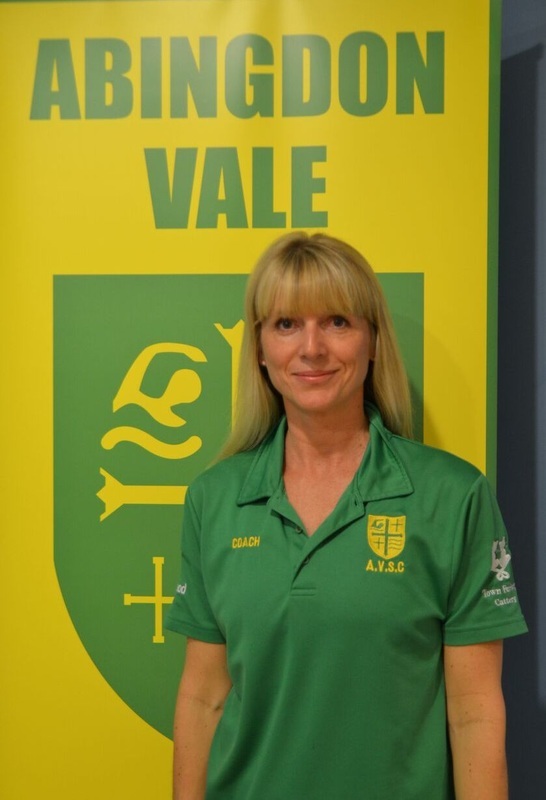 She has played a vital role in developing our swimmers' technical skills, delivering land training classes, championing nutrition and most recently introducing a regime of pre and post pool stretching. Amanda is a Level 2 Coach and Level 3 Personal Trainer with over 14 years' experience. She is the Lead Coach on the England Talent Pathway and Head County Coach. Her energy and positive attitude are a real asset to the club. Beth is the lead coach for CD1 and the Academy. She has been actively involved with AVSC as a committee member and coach since 2005, and with the academy since 2010. All three of her children have swum with AVSC. Beth holds level 2 teaching and coaching qualifications. ​Beth works as a Special needs teaching assistant in a primary school, teaches school swimming and delivers lessons in a variety of local swim schools. Pupils from 3 years to 65 years of age! Currently she coaches across the squads, and has probably coached at some point every swimmer currently at AVSC! Harry has been a competitive swimmer since 2005. His swimming career started off at Wantage White Horses SC, where he trained for 7 years. After joining Abingdon Vale in 2012 he progressed to swim at National level in the 100 & 200m Breaststroke and 400 Individual Medley. Whilst swimming for Plymouth Leander and studying BA Photography at Plymouth University he swam at National and British level, winning 4 National medals. He gained invaluable experience from being in the same squad as Olympic Champion Ruta Meilutyte, as well as competing in National relays with the World Champion (50 Fly) Ben Proud and hopes that his experience competing and training at this level will channel through his coaching to not only motivate and encourage swimmers but to develop them as athletes. As he will still be competing whilst coaching you may see him in the pool on the odd occasion demonstrating certain techniques to our younger swimmers. ​Emily is the lead coach for PA squad. She is a Level 2 coach, with experience at David Lloyd and private teaching/training. She was a national swimmer, competing in backstroke, freestyle and fly. Emily keeps herself fit by training for open water and cycling races. She has 2 children, the eldest of whom swims for AVSC. Russell is lead coach for CD 2 squad. He grew up in a swimming family and as soon as he was old enough gained his level 1 and 2 teaching qualifications, having been a club swimmer when he was younger. He has taught swimming in leisure centres across the south of England for over 15 years whilst pursuing a career in the industry. After having children, he became a coach through becoming a parent volunteer with Wantage White Horses. He has since completed his level 1 coaching qualification. AVSC and the Coaching team wouldn't be as strong or effective without the help of volunteer assistants. Normally current or ex-swimmers, or budding parent-coaches, the Coach Assistants take registers, timing splits, stroke counts, and keep an eye on squad progress. It's an excellent way to develop poolside manner and pick up tips for possible coaching/teaching qualification. Or just enjoy helping out. Parents, swimmers & siblings always welcome.